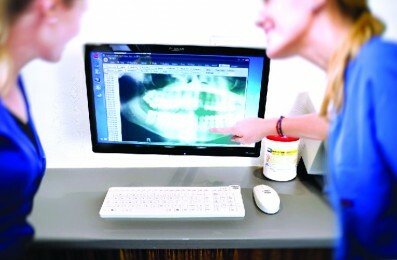 When a patient decides to come into your dental facility, they expect to have a hygienic visit. Your dental tools and work surfaces require regular cleaning because they get exposed to saliva & other germs; well, your keyboard is exposed to the same elements, why clean one and not the other? Hand hygiene is one of the most effective ways to prevent cross contamination and other illnesses in dental staff and patients. Help protect the people that you are treating by selecting Medical Grade Keyboards & Mice from Man & Machine. 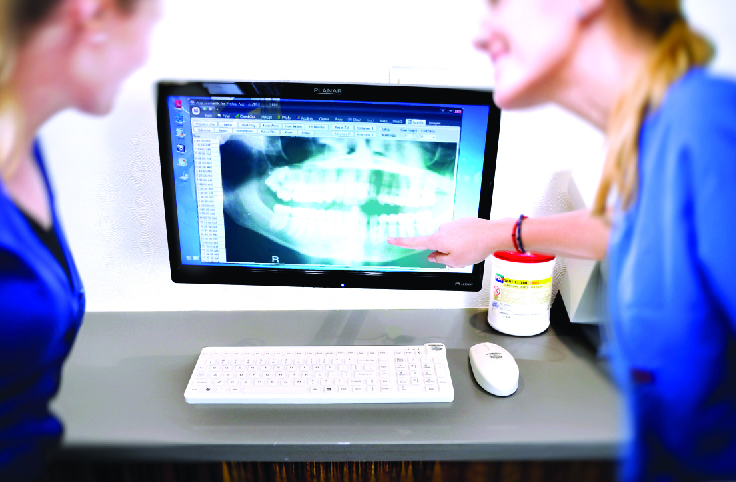 This line of premium washable keyboards can be found in many of the largest dental systems, medical offices and laboratories worldwide. Not all washable keyboards are created equal. Washable open-style keyboards can harbor bioburden buildup on high-touch surfaces, plus deadly pathogens can hide in the areas underneath the keys and other places that are not reachable by hospital wipes. As the premium solution for infection control, our sealed keyboards are designed to meet the 10 requirements for Medical Grade™ keyboards, and are identified by the Medical Grade icon. These products go above and beyond ordinary computer accessories to help you maintain a clean environment. Why Man & Machine Medical Grade Keyboards? Our dental keyboard lines comes with a special sealed silicone rubber skin that stands up to being terminally cleaned at the workstation with 1:10 bleach solution or any EPA-approved hospital disinfectant. The latex free material is soft to the touch and a pleasure to type on. The low-profile keys allow the wipe of your choice to easily glide over and around the keys, making disinfecting a breeze. And since the letters are laser-burned into the silicone, they won’t rub off or become hard to read. Thanks to the exclusive Tru-Lock feature, keyboards can be locked for cleaning and disinfecting at the workstation. Flashing keys let you know you’re in cleaning mode. Safely wash the keyboard while it is locked, ensuring that no false commands are entered into any open programs. Just hold the two lock keys for a few seconds to activate. Then do the same thing for another few seconds to deactivate. Designed by our trained ergonomic engineers, our keyboards provide excellent tactile feedback. You can easily type with gloved or even double gloved hands. To enhance patient and staff safety, we make our keyboards in hygienic white, so that bodily fluids, spills, dust and other contaminants are easier to spot letting the user know it is time to disinfect. Proudly engineered, assembled and serviced in the USA, Man & Machine’s premium keyboards, mice and other devices are assembled and tested by our team of highly skilled workers in Landover, Maryland. Built with quality in mind, our keyboards have a superior keystroke rating. Our products are 100 percent quality assured and are built to last. Typing in low-light environments is easy and hassle-free when you select a Man & Machine keyboard with a special multilevel backlight. With an LED built-in behind every key, simply press the backlight button, and the light level intensifies until you reach the perfect level of brightness for your environment. The MagFix option includes magnets installed inside the keyboard. This enables medical staff to keep the keyboard in place on ferrous (magnetic metal) surfaces such as patient room wall mount units without using Velcro™ or double-sided tape, which can harbor pathogens. Visiting the dentist is nerve-wracking for many people. Ease the stress of the visit with our sealed keyboards that are designed to be silent while typing. The layout of a standard keyboard along with all the Medical Grade™ advantages makes Really Cool our best-selling keyboard. It’s the #1 choice among uncompromising customers in medical, clinical and lab environments, where infection control is imperative. Incredibly small in size but big in performance, our Slim Cool silicone keyboard is designed to fit into the tightest of work spaces, such as some workstation-on-wheels keyboard trays. Combine this with its Medical Grade™ characteristics, and you’ll see why Slim Cool is a great fit for tight medical and clinical environments. Pair your keyboard with a matching medical grade mouse for a superior infection control system. 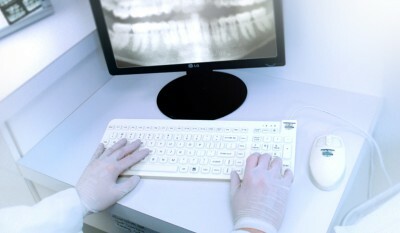 At no extra charge, we offer our Medical Grade keyboards with 10 foot cables so your keyboard may reach anywhere in the dental operatory. Eliminate the need for wireless devices which may come unpaired, require changing, or may be misplaced. The Really Cool Touch and Slim Cool Plus keyboards are designed with a convenient touchpad, which can save space on a cluttered work surface. Special covers for these touchpads help gloved hands glide on the sealed surface. We offer a full line of budget friendly keyboards. Our open style keyboards have the look and feel of traditional keyboards. 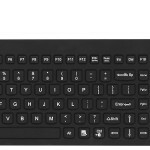 The D Cool is a budget conscience alternative for those looking for a sealed keyboard. Whether you are looking for peripherals for your non-clinical staff or for a busy computer that lives in a hallway on a WOW, we have a keyboard that will meet your hygiene typing needs. Washable to prevent spread of illness. Silent keys help calm patients.